By buying this product you'll earn up to 588 Rewards points. 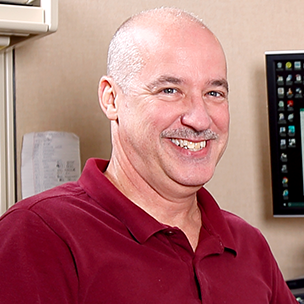 Any sound man will tell you that it's no fun chasing down a bad connection in the middle of a show — a good snake is essential to a great performance. RapcoHorizon Stage Series snakes use the best materials and rugged construction to make sure your performances run without a hitch. This Stage Series 100-foot snake features a box with sixteen XLR inputs and four XLR returns, and a fan that has sixteen XLR connectors and four XLR returns. Each connector uses two 24-gauge conductors, individually jacketed and shielded, and all connectors are enclosed in a durable PVC jacket. For ease of use, each connector is marked with a glow-in-the-dark channel ID number, and the ends of the snake are reinforced with nylon strain relief on the box end and metal mesh cable reinforcement on the fan end. This snake meets NEC specs for permanent installations, so you can run it behind walls, ceilings, or floors without having to use a conduit. 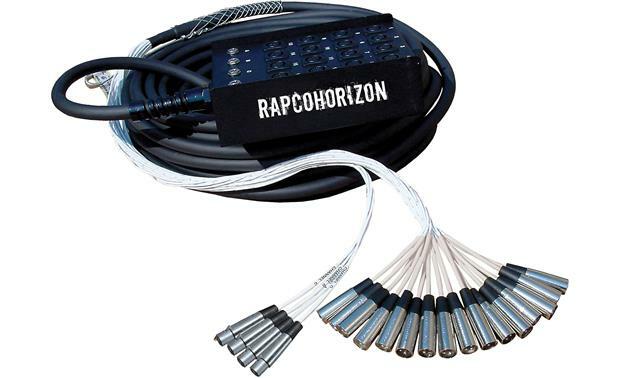 Overview: The Rapco Horizon Concert-series NSPL16X4-100FF is a 100-foot, 20-channel (16 sends / 4 returns) audio snake for running multiple microphone and instrument cables from a mixing console to a stage or studio tracking room. The snake features 20 high-quality XLR connectors and a sturdy stage box with silk-screened channel indicators (1 through 16, A through D). Stage Box: The 18-gauge steel stage box has 16 female and 4 male Neutrik XLR connectors on the top panel, all numbered/lettered with the same corresponding characters on the opposite ends of each cable. The box features 3" x 11-1/8" sides and 2-1/2" x 7" ends. The cables exit the back end through a heavy-duty rubber strain relief/grip. The stage box has four 3/4" diameter, screw-on rubber feet. Main Cable: The snake features a 100-foot length of cable with twenty conductor pairs, each jacketed in 100% foil shield. The main cable has a thick rubber protective jacket. On the fan end, each individual cable is approximately 35" long. The fan end of the cable includes a metal-mesh cable-bale for strain relief. XLR Connectors: Each individual channel features a metal REAN XLR connector with rubber grip/strain relief. Just before each connector is a white plastic sleeve, silk-screened with the channel number and covered by a clear sleeve to keep the number from rubbing off. Searches related to the RapcoHorizon Stage Series Snake 16-channel 100-foot snake with four XLR returns.